WASHINGTON -- In a major victory for affirmative action, a divided Supreme Court on Thursday upheld the University of Texas admissions program that takes account of race. The justices voted in favor of the Texas program by a 4-3 vote, an outcome that was dramatically altered by the death of Justice Antonin Scalia, who opposed affirmative action. The court's three more conservative justices dissented, and Justice Samuel Alito read portions of his 51-page dissent, more than twice as long as Kennedy's opinion, from the bench. "This is affirmative action gone wild," Alito said. The university "relies on a series of unsupported and noxious racial assumptions," he said. Just seven justices participated in the decision since Scalia's death in February. Justice Elena Kagan sat out the case because she worked on it while serving in the Justice Department. Instead, Fisher went to Louisiana State University, from which she graduated in 2012, and pursued her lawsuit. Fisher was recruited for the suit by Edward Blum, an opponent of racial preferences who has been remarkably successful in persuading the Supreme Court to hear cases challenging the use of race in education and politics. Blum was behind a major challenge to the landmark Voting Rights Act that resulted in the court eviscerating a key provision of the law, and he also led an unsuccessful challenge to states' widespread practice of counting all their residents, not just those eligible to vote, in drawing legislative districts. 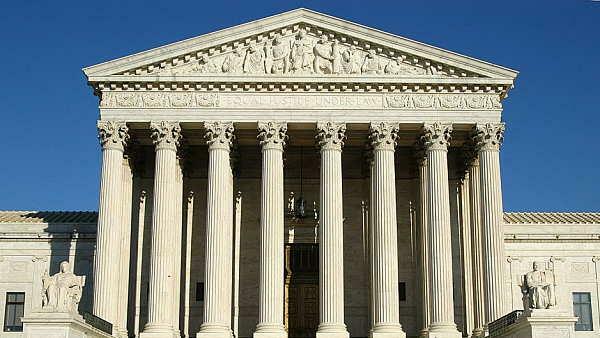 Justices heard Fisher's case once before and issued an inconclusive ruling in 2013 that sent her case back to a lower court and set the stage for Thursday's decision. Separate legal challenges have been filed to affirmative action plans at the University of North Carolina and Harvard University. It was unclear how those cases would be affected by the decision in the Texas case. Click here for more stories about the Supreme Court.